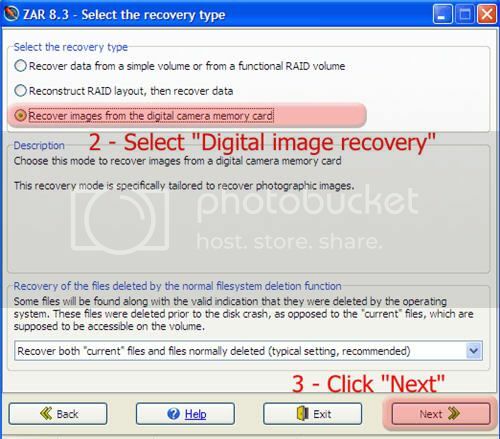 Recover deleted photos or corrupted pictures from any digital camera memory card with the free photo recovery tool – ZAR.Though ZAR is a paid software for data recovery, it does act as a free photo recovery tool with no limitations in digital image recovery mode. When can this free photo recovery tool be used? If your digital camera allows you to access the memory card as a drive, then you can connect the camera and try to read the memory card.If that is not possible, you will have to remove the memory card from the camera and use a card reader device. How to recover deleted or corrupted pictures? You will see a window titled “Recovery run”. If you are using the camera to read the memory card and all the dots on the map are red, or if the scan is unacceptably slow, discontinue the run, remove the card from the camera and restart using a card reader device, which perform better. Once the recovery completes, you will see a window titled “Mark files to recover”. Choose all the pictures to recover and click “Next”. You will find a window titled “File copy settings”. Choose the destination folder on your PC for the recovered pictures and click “Start copying the selected files”. 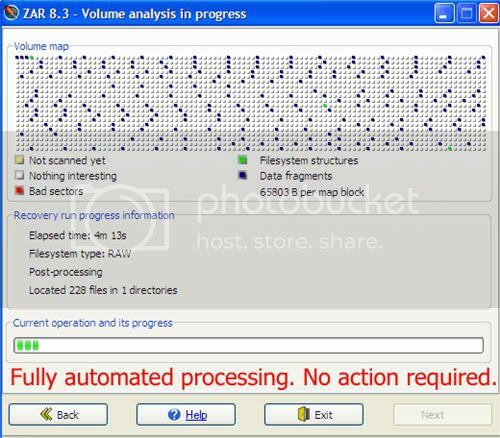 Check whether all your deleted or corrupted photos have been recovered.This photo recovery tool works on Windows Vista and XP and supports FAT16, FAT32 and NTFS. It is also compatible with the following cameras -canon, Kodak, epson, fuji film, konica, olympus, panasonic, sony, samsung, toshiba.